Melinda has been a stylist for over 17 years and an educator for over 4 years. She is certified in Surface Core Trend, Curly & Fine Hair Cutting, and Color. Her energy and passion guarantee a positive and informative guest experience. Andie is an owner of Salon MACCK and has been doing hair for over 14 years. She is a passionate stylist who strives to give her guests an exceptional experience each time they visit. 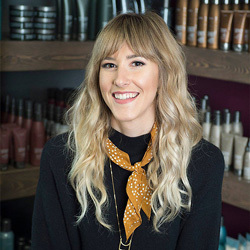 Chrissy has been in the salon industry for over 10 years and continues to expand her knowledge and expertise in order to best serve her guests in our ever-changing beauty world. Her mission is to help others achieve their ultimate hair goals. Karin has over 10 years of experience and is certified in both the Surface Core Cutting System and Surface Pure Color. She's attended classes including many at the Summit Salon Business Center to ensure that every guest has the best salon experience. Kristin has been in the industry since 2000 and now fuels her passion through continued education. Knowledge from the Summit Salon Business Center allow Kristin to give her guests the best experience and leave them feeling beautiful. Caitlin has been doing hair for over 6 years now. She specializes in Surface Razor Cutting, Custom Color, and Facial Waxing. Caitlin knows the importance of continuing education and making sure her guests are as pampered as possible. 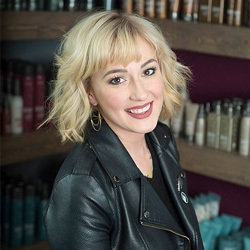 Carlie is a creative, self-motivated stylist with a passion for providing world-class services for her guests. She loves meeting new people and making them leave feeling truly confident. She regularly attends advanced classes to further develop her skills. Rae has been an industry professional since 2013 and is dedicated to honoring her craft. Passionate about all forms of art and design, she likes to enhance her guests' natural beauty with her unique, artistic sensibilities. Gina was licensed in 2005 and is now one of our Surface advocates helping train new associates. She specializes in Precision Shear, Razor Cutting, and Fine, Short & Curly textures. Above all, Gina loves creating a relaxing and therapeutic experience. 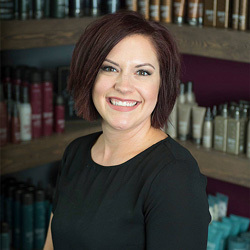 Annie brings 15 years of experience to the Salon MACKK team. She's always had a passion for craft hairdressing and loves to share her knowledge with everyone around her. Annie draws her inspiration from current fashion and classic techniques. Dawn has been in the industry for over 30 years. She specializes in updos and is certified in Surface Core Cutting, Awaken, curls, and color. Dawn believes in a great consultation for every guest to help reflect their personality and lifestyle. Having been through the Associate Training Program and the Surface Core Cutting System, Candace is excited to start her journey on the floor at Salon MACKK. She loves creating fun braids, updos, and doing makeup. Shannon received her cosmetology license at Pivot Point Academy and specializes in makeup, Surface Core Cutting, balayage, and custom color. As a stylist, she strives to help guests express themselves and boost their confidence. Carmen is one of our hard-working front desk girls. As an aspiring hair stylist, she is eager to help our guests and works closely with our stylists in booking appointments. She finds joy in making others feel loved! Katie has been a part of the team since 2016. As a front desk coordinator, she enjoys all the interactions of her creative environment and is inspired by the unique individuality around her and of those who walk through the door. 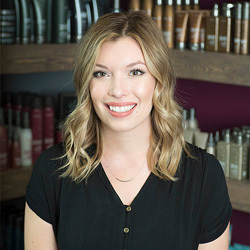 While newer to the front desk scene, Paige loves being a part of the welcoming and creative environment at Salon MACKK. She enjoys sharing in the positive expression of each and every guest and stylist.